Hillsside Plumbing Excavation & Hire offer mini excavation contractors service for those located in the Sydney area. Our quality machinery and expert operators are available to complete your job efficiently and safely. Contact Hillsside today and our team of mini excavation contractors and operators can assess the job you need to be completed. Our assessment will include our expected timeline of completion, quote of pricing, and alternative options to complete the job. We strive to provide our customers and clients with excellent customer service and quality completed jobs. If you’re looking for one of the best mini excavators hire business in Sydney, look no further than Hillsside Plumbing Excavation & Hire. 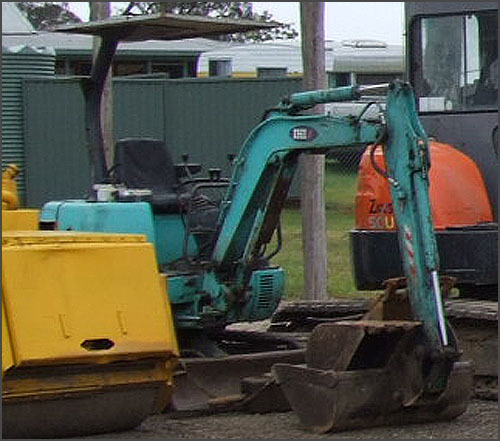 We only hire the most experienced excavator operators for our mini excavation team in Sydney. All out operators are trained experts in excavation and are knowledgeable in a wide range of areas throughout the construction sector. We strive to provide our clients and customers with contracting experiences which leave you satisfied with the quality of the job. Our mini excavation machines can squeeze into small areas on your job site, but without experienced operators, they can still cause damage to the surrounding areas. Our highly trained operators are experts at maneuvering and operating our mini excavators, making them the perfect choice to complete your job. Whether you are installing a new pool into your backyard, need to fix large sewage problems, or need a hole dug – Hillsside Plumbing Excavation & Hire is the business for you! We guarantee reliable services at competitive rates, so contact us to ensure you are satisfied with your completed project. Visit our testimonials page to see what our past customers have to say, or simply contact us today about how we can help you!